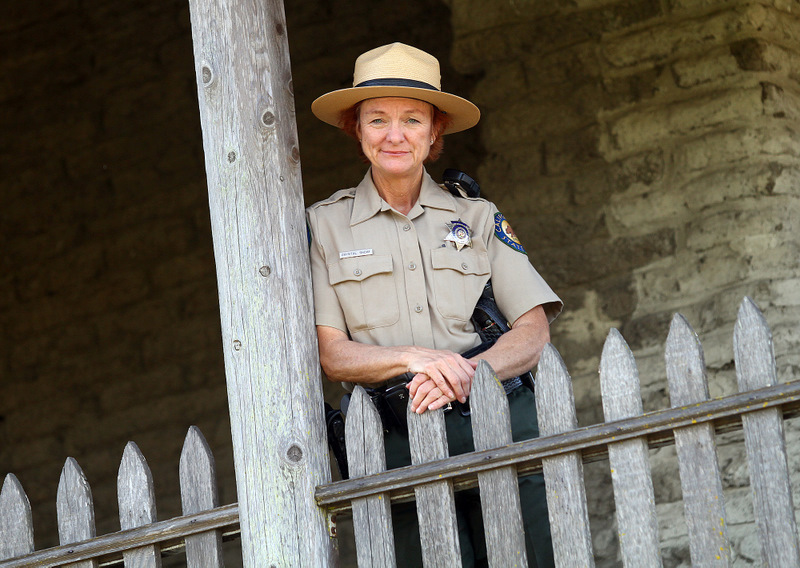 Until recently, Petaluma Adobe State Historic Park seemed as secure as any of California’s parks. The Monterey Colonial-style ranch house is the largest privately owned adobe structure ever built in the state, and no California State Park has been officially closed since 1864. But in May the Adobe made the list of 70 state parks to be closed in July 2012 as the state struggles to balance its budget. So naturally, Park Ranger Crystal Shoaf was beyond shocked when she got the word that her world was about to change. She considers her job absolutely mandatory for the safety and well-being of the facilities, the amenities and the park itself. As the park’s solo live-in ranger for the past 10 years, Shoaf tends to the grounds, cares for four sheep and one donkey, discourages vandals, expedites tours for visitors and leads wide-eyed Petaluma students on perennial tours of Mexican General Mariano Guadalupe Vallejo’s home and headquarters. In the process, she has fallen in love with the job of introducing 8- and 9-year-old fourth graders to The General’s 100-square-mile cattle ranch and the artifacts it contains. Vallejo was given the property as a land grant in 1834 and used it as a rancho and factory to supply his military troops based in Sonoma. He built the adobe ranch house on a knoll near the water and rich soil of Adobe Creek. Between 1836 and 1846, his Rancho de Petaluma grew crops, raised cattle, supplied tools and blankets to his troops, and sold extra inventory to merchant ships. When it was fully operational, Vallejo’s hands wrangled more than 60,000 head of cattle, grazing them from Bolinas to the town of Vallejo. The General was imprisoned in 1846 during the Bear Flag Revolt and sold the ranch in 1857. The Native Sons of the Golden West bought a portion of the land in 1910, and the state acquired it in 1951. Before moving into her position at the Adobe, Shoaf was a ranger for seven years at Sonoma Coast State Beach in Bodega Bay. When the spot at the Adobe opened up, she jumped on it, knowing that proximity to a larger city would provide speedy access to soccer practice, Boy Scout meetings and the other activities that complete a family’s profile. Shoaf’s friends have often voiced their envy at the unique combination of lifestyles her job has provided, but it hasn’t come without a price. That much responsibility comes with some potential for danger. Shoaf recalls smelling smoke one afternoon, only to discover that an entire quarter-acre field was on fire, along with the surrounding fencing. Turkey vultures had caused a nearby power transformer to blow out. Luckily, part of her training also included fire-fighting techniques. By the time the fire department arrived, Shoaf had relocated the animals, hooked up every available hose and was in the process of dowsing the field. Faced with the impending park closure, Shoat opens the park only two days a week and works at other parks the rest of her week. She also is in the process of packing up all the furnishings and artifacts on display in the 200’×145′, two-story building. New homes will have to be found for the animals, perhaps with local rancher Judd Redden, who donated them to the Adobe. But there is hope. The Sonoma/Petaluma State Historic Parks Association, headed by Philip Sales and Liz Kane, is working against the clock for the cause. Their mission is to raise $110,000 so they can pay the state to keep the park open for another year. Sales, with 20 years of park planning and design, describes a plan for privatization that can be a logical and pragmatic solution. He explains that the state’s model for operating the parks system hasn’t been revamped or updated since Yellowstone was opened more than 100 years ago. He also is fearful that once Shoaf packs up the artifacts and ships them off to a warehouse in Sacramento, returning them to their rightful home will be next to impossible. In the meantime, Shoaf still wears an engaging smile along with her green and khaki uniform, boots and ranger hat. She’s doing her level best to wrap her brain around the thought of transferring to another, yet-to-be-named state park. The Petaluma Adobe is at 3325 Adobe Road, 762-4871, and is open Tuesdays and Wednesdays. To join or donate to The Sonoma/Petaluma State Historic Parks Association, call 935-6832, visit sonomaparks.org or write to P.O. Box 1702, Sonoma 95476.